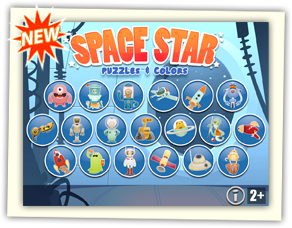 Spaceships, Robots, Aliens, discover all the characters of the Space, the children play with the Puzzle, the Colors and animated background. In the full version there are 19 characters and many funny sounds. Simple and intuitive is designed for children. 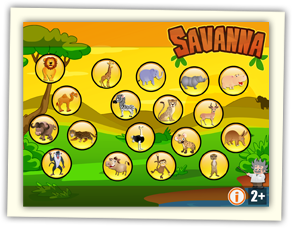 Our children will enjoy playing and coloring the Animals of Savanna. Amazing interactive objects in the background are Funny for Kids. Simple and intuitive interface is designed for children. 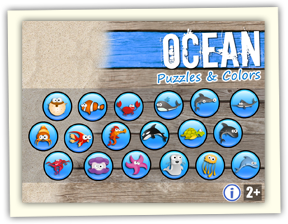 Our children will enjoy playing and coloring the ocean animals, in the full version you will find 16 puzzles with sounds, all coloring. Simple and intuitive interface is designed for kids. 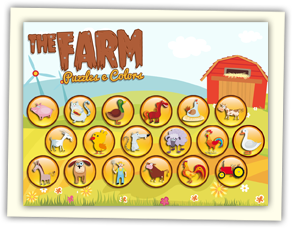 Our children will have fun playing and learning with people and animals of the farm, in the full version you will find 16 puzzles with the sounds of all animals. All Coloring !! 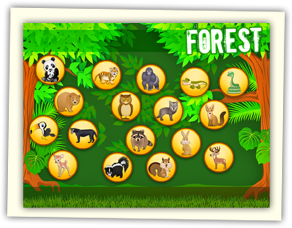 Our children will enjoy playing and coloring the forest and jungle animals, in the full version you will find 16 puzzles with sounds, all coloring. Have fun with interactive objects in the background. Awesome New Feature MAGIC BORDER for Perfect Drawings! 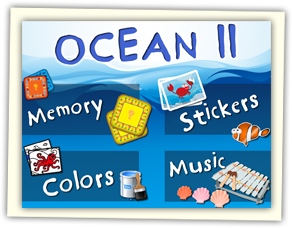 Ocean II - 3 Games in 1: Match the same, Stick and Stack Figures and Coloring. Our children will enjoy playing this Game. 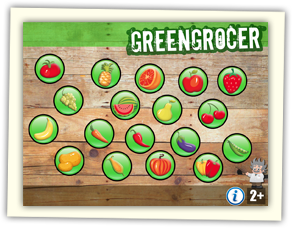 Our children will enjoy playing and coloring Fruits and Vegetables. 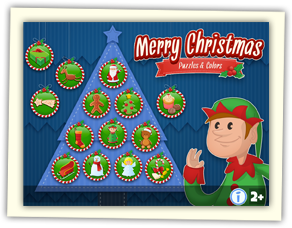 Our children will have fun playing with the Characters of Christmas. They can paint all images and will be happy to listen to all the sounds of the game. Try it now on App Store ! Simple and intuitive interface is designed for kids by MagisterApp. Here is the New Game of Halloween by MagisterApp !! 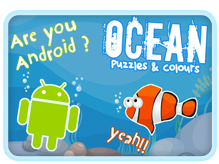 Funny Puzzles and Coloring Drawings, make our Children Happy. Also Nice Sounds and Animations for All Characters.